The need for life insurance, once obvious as a way to protect your family, may decrease as your wealth expands. But rather than simply letting an old policy lapse, you could redirect the benefits from your heirs to a charity. Or you might want to buy new life insurance to compensate other beneficiaries for a philanthropic gift that reduces their inheritance. Here are several potential strategies. Changing beneficiaries. This is the simplest way to go, and it lets you call the whole thing off if you change your mind. But merely making a charity the beneficiary of an existing policy has several limitations. You don’t get any tax benefit while you’re alive, and the nonprofit you’re supporting also doesn’t gain until your death. Moreover, because you continue to own the policy, the proceeds will be potentially taxable as part of your estate, though your heirs should be able to deduct the value of the charitable gift. Giving away existing insurance. This can work whether you have a term or whole-life policy, though the pros and cons vary by type of insurance. In either case, the basic strategy is the same. You transfer ownership of a policy to a charitable organization, which can then name itself as beneficiary. With term insurance, this gift has little or no current value, greatly limiting your charitable deduction. But if you choose to keep paying the premiums, you can deduct the amount you give each year, and assuming the policy remains in force, the charity gets the death benefit. The gift of a whole life policy, in contrast, will earn you an immediate deduction for the insurance’s current cash surrender value, which could be substantial. In addition, you could take responsibility for future premium payments, thus earning ongoing annual deductions. Meanwhile, your chosen philanthropy benefits from greater flexibility than it would have if it had received a term policy. It owns an asset it could choose to cash in at any point, or it might be able to borrow against the policy. Buying new insurance to offset a gift. Suppose you’d like to make a big charitable gift during your lifetime—say, to endow a chair at your alma mater. The president of the college will be your new best friend, and you’ll get a major charitable deduction, subject to IRS limits, for the value of the cash or securities you gave away. But to make sure your other heirs are none the poorer for your philanthropic splash, you could purchase a new life policy equal in value to the assets you gave away. And if you place the new insurance in an irrevocable life insurance trust, the proceeds won’t be subject to estate tax. There could be several creative variations on these basic themes—for example, creating a charitable remainder trust that pays you a life-time annuity you use to fund an insurance policy for your heirs. 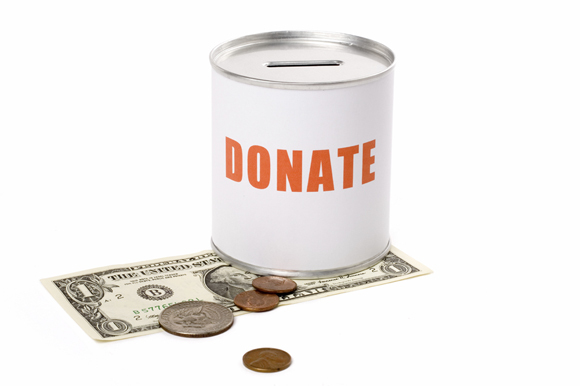 We can work with you and your attorney to craft a philanthropic plan that fits your needs.